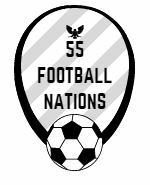 55 Football Nations likes to stray off the beaten path. And did so by choosing BK Häcken as their welcoming hosts for its Swedish first division match. BK Häcken are not a historic Gothenburg club. IFK are the most popular, with their many titles and two European trophies. Örgryte IS and GAIS are older still and both now ply their trade in the Swedish second division. But Häcken do not even consider themselves a Gothenburg club. They are from Hisingen, the large island to the north of the city, an area previously heavily influenced by its shipbuilding, now home to Volvo. And Häcken. This humour seemed essential at Häcken. You are challenging the norm by choosing to become a Häcken fan. Erik explained that, unlike at IFK, very few are born into Häcken families. There is no tradition of going to the match. Hisingen has recently seen heavy immigration, something reflected in their fan base. The crowd for the 55 Football Nations game against Hammarby, the cult Stockholm club, was 4,000, with perhaps a quarter following the away team. The Häcken crowd is more diverse than most. There are lots of women and children, hardly unusual in Scandinavia, but also black and Asian faces. An Irish flag, “Hisingen Irish”, is proudly displayed. Häcken play at the Bravida Arena and another sponsorship deal sees the players wearing the same first three letters on the front of their shirts. Erik humours me by wishing it was sponsored by an American fast food franchise. “We could then call it the Mac-Arena!” The stadium is new, hard concrete lines brightened by yellow signs and a welcoming atmosphere. Children take penalties under the supervision of a giant wasp mascot. Erik’s supporters’ club sells offbeat shirts just yards away from the official shop. Gay pride corner flags flutter in the breeze, the club marches at West Pride in Gothenburg to show their support for diversity. Erik feels that Häcken should promote themselves more as the future, without losing the family ambience that has seen stranded away supporters given a lift in the team bus. Ahead of a derby match, IFK had run a campaign saying that they were playing “the biggest team on Hisingen”. Technically true, but big brother tactics that humiliate. There is an inclusiveness that makes this team different. A 2-0 win kept them as Gothenburg’s – and Hisingen’s – leading club. IFK will need to keep looking over the water. Great report. Which reminds me that Fulham are the largest London club with a ground next to the river Thames! Worth mentioning is also that BK Häcken is a club from a working class area and formed by young dockers, in contradistinction to the other bourgeois teams in the inner city. This is of course also something that is reflected on the stands and in the culture and traditions of the supporters.